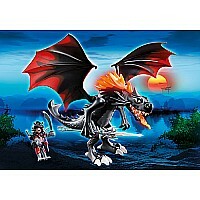 Scare away enemies with the Giant Battle Dragon with LED Fire. 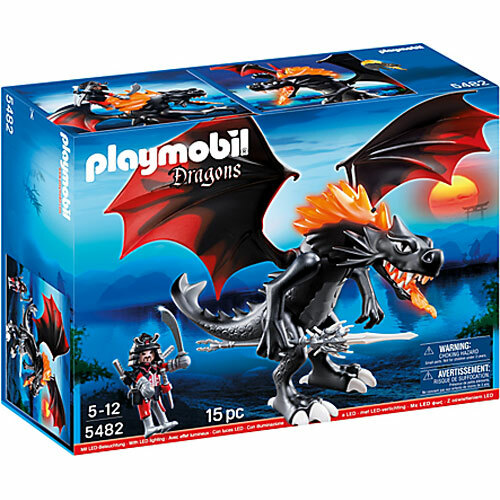 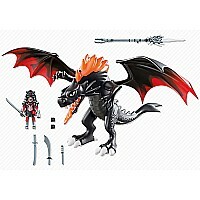 This huge black, red and orange dragon towers over his opponents, making him the perfect protection from opponents. Enemies will shy away from this dragon when they see him breathe fire, which lights up bright orange (batteries included). 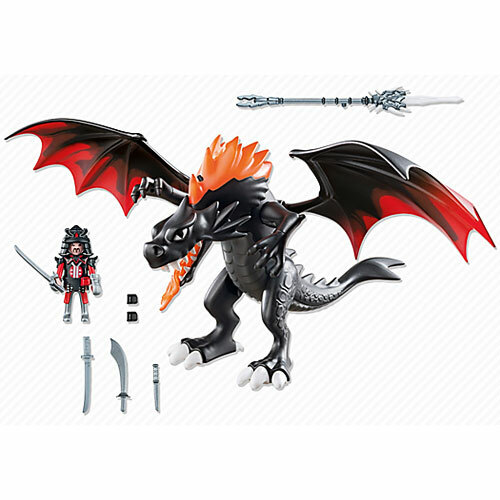 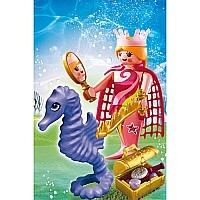 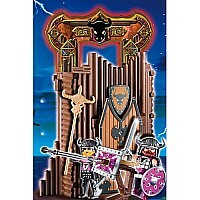 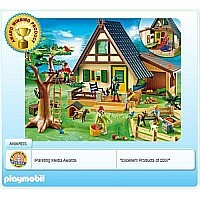 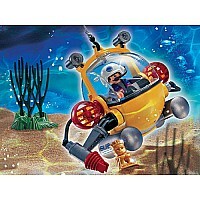 Set also includes one figure, helmet, and other accessories. Dimensions: 17.3 x 11.8 x 8.3 in (LxWxH).